Infamous America | Listen Free on Castbox. Infamous America dives into the wildest and darkest chapters of American history. Assassins, gangsters, mobsters and lawmen; manhunts, riots and unexplained phenomena — we'll cover them all. It's history with edge. There are people whose names will live forever in American history: John Wilkes Booth, Benedict Arnold, Bonnie and Clyde. There are robberies, manhunts, prison riots and unexplained phenomena that are still debated today. We'll journey through all of them on this show. In Season One, we'll tell the story of the Salem Witch Trials. This isn't the version you learned in history class... Visit www.blackbarrelmedia.com for more details and to subscribe. Introducing INFAMOUS AMERICA | Season One: "Salem"
INFAMOUS AMERICA | Salem: "The Devil"
INFAMOUS AMERICA | Salem: "Deceivers"
INFAMOUS AMERICA | Salem: "Wildfire"
INFAMOUS AMERICA | Salem: "The Rope"
The Salem witch trials reach their darkest point as more innocent lives are lost. When the crisis touches the highest level of government, the governor finally stops the trials. The outbreak slowly fades away, but it haunts all involved for the rest of their lives. For the next 300 years, family members, scholars and historians try to understand it all went so horribly wrong. 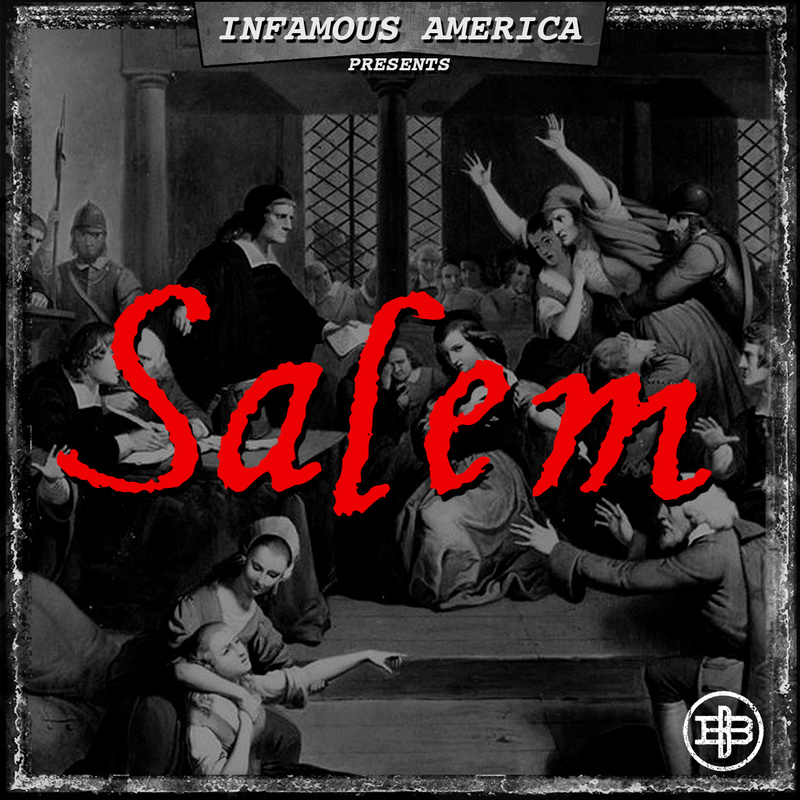 INFAMOUS AMERICA | Salem: "Legacy"
A fabulous narration of a mysterious period in America's history. Chris Wimmer shares detailed accounts of Salem witchcraft. It's spellbinding!